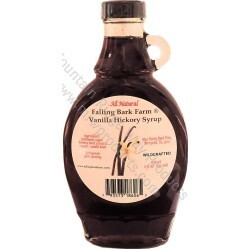 All natural Hickory Syrup made in small batches. Ingredients: turbinado sugar, hickory bark extract an an organc Vanilla Bean! That is it! Not too sweet, with a rich buttery caramel taste, with a real kick of vanilla!